In its simplest sense, Customer Loyalty is the inclination for an individual to favour a particular product, brand or service. I bet you already knew that. Till a few years ago, getting people loyal to a brand was fairly straightforward - you create a great product, market it well, offer stellar customer support and voila! You’ve got yourself a loyal customer base. However, the digital explosion has made it harder than ever before for brands to engage and retain a loyal customer base. Today, a customer is bombarded with hundreds of communications from multiple brands with few differentiators. Gaining customer loyalty cannot be a one-off thing. A brand needs a focused and integrated plan to retain its best customers - put simply, it needs a customer loyalty program. A loyalty program typically involves giving customers free merchandise, early access to sales, products and coupons. Loyalty programs have been proven to be extremely successful in driving repeat sales for brands. The "Get With The Program" report states that all other things being equal, 72% of consumers will buy from retailer with a loyalty program over one without. 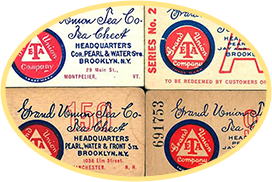 In 1872, the Grand Union Tea Company started distributing tickets which could be exchanged for merchandise from the Grand Union store catalogs. 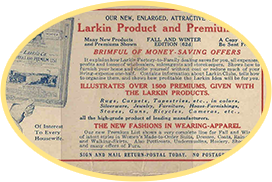 The Larkin Company, a hybrid soap manufacturer and premium mail-order business, founded in Buffalo, New York, started distributing certificates with its soap sets. The company encourages its customers to redeem these certificates for items from the company's catalog. 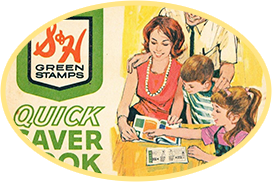 A department store in Milwaukee was the first to use trading stamps to boost customer loyalty. The premise was simple: customers were given trading stamps for every purchase which they pasted into booklets issued by the company. When a customer collects a certain number of filled booklets, they can exchange it for toys, tools, jewellery or other household items. 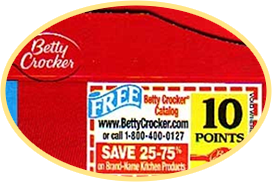 Betty Crocker started the issuing coupons which could be redeemed for flatware. Soon after, they started printing the coupons on the outside of packages and the term 'box tops' was born. 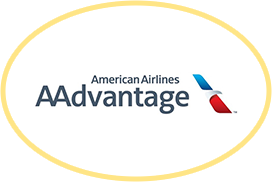 In the early 1980s, American Airlines kick started the concept of Frequent Flier Program with the famed Advantage program. A few years later, Discover started the concept of offering cash backs to customers based on the no. of purchases in that year. 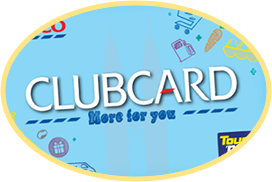 Tesco (a UK supermarket) was the first brand to use technology to track customer behavior when it implemented the world's first card-based loyalty program. It was sometime in late 2002 that mobile loyalty programs started gaining prominence. Capillary played a major part in this revolutionary shift by being one of the first tech companies to introduce a mobile-based loyalty program for retailers. The mobile loyalty programs had multiple advantages that resulted in their wider adoption. Retailers could now combine real time communication and point of purchase analytics to transform loyalty program into a potent marketing channel. Over the years, Loyalty Programs have steadily evolved from being a passive 'reward & retain' instrument to becoming a major component of the customer experience and engagement cycle. The other big trend in Loyalty Programs is the advent of Omnichannel Loyalty Programs. As a brand, you would want to be present wherever your customers are, right? 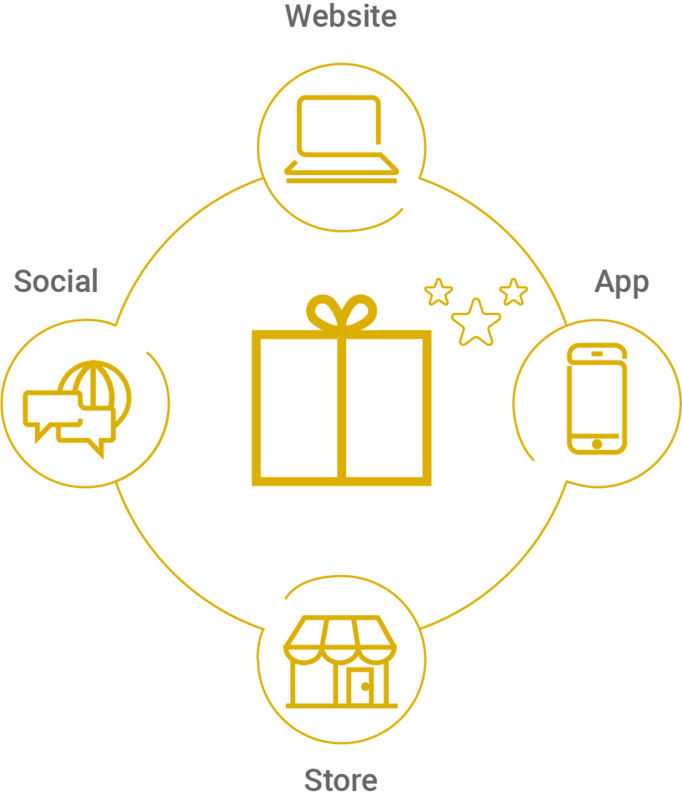 That's where Omnichannel Loyalty Programs come into play. While traditional Loyalty Programs restricted the redemption of points to a single channel, omnichannel loyalty programs encourage your customers to earn and burn points across multiple channels (app, web, in-store etc.) where your brand has a presence. Brands are also leveraging the vast amount of customer data to drive personalization through their loyalty programs. Research says that a personalized Loyalty Program has a major impact on the overall customer satisfaction levels. The primary objective of a loyalty program is to retain existing customers and encourage repeat purchases. An Accenture Report found that 66% of US consumers spent more on brands that they were emotionally connected or loyal to. Are you in the midst of developing a Loyalty Program? Maybe you're worried how the cost vs. benefit will play out? Read on to find out why it's imperative for businesses to invest in a Loyalty Program. This is the primary metric on which the success of a loyalty program is measured. If your existing loyalty program is not driving repeat sales, it's highly recommended to do an in-depth analysis of the program to fix the underlying issue. When implemented correctly, an effective loyalty program is even capable of contributing 30% of your total revenue. Over the years, loyalty programs have steadily transformed from a mere transaction system to an emotional and personal connection between a brand and its customers. This is evident in the way more brands are incorporating higher personalization and experiential rewards into their loyalty program. Consumers are also increasingly expecting early access and VIP benefits in return for their loyalty to a specific brand. Several brands have overlaid their loyalty program into their Customer Relationship Management (CRM) system to offer highly personalized rewards for their customers. The Average Order Value (AOV) is a simple but vital metric that reveals how much a customer typically spends every time they shop with you. It's critical because you are increasing your overall revenue with zero acquisition costs. It's also much easier to convince an existing customer to tack in a couple of more bucks to their order rather than convince a new visitor to go through the entire sales funnel. Reports say the majority of brands see an average of 13% increase in Average Order Value from reward program purchasers. This is of course a conservative estimate and there have instances where the loyalty program resulted in 25% to 35% higher Average Order Value. This clearly indicates that a successful loyalty program not only retains your valuable customers but also entices them to spend more on every purchase. A Loyalty Program offers far greater insights about a customer (demographic, purchase patterns, product preferences etc.) compared to an invoice. The data collected through a loyalty program is extremely valuable as it reveals the true preference of a customer (as opposed to one gathered from a survey). Though Loyalty Programs started off as a transactional platform, over the years, brand have realized its potential as a data goldmine. Several leading brands now use Loyalty Program data to predict customer's purchase intent and receptiveness to marketing campaigns. Moreover, the ability to integrate Loyalty Programs with CRM platforms allows brands to combine data from multiple sources like social media, in-store and mobile applications to create a rich persona for every customer. How Customer Loyalty Program Boosts Sales? Over the last few years, online and offline businesses around the world have accepted a fundamental reality about customer loyalty. You cannot generate superior long-term profits unless you achieve superior customer loyalty. Did you know that increasing customer retention rates by 5% increases profits by 25% to 95%? Loyal customers contribute to your bottom-line in a multitude of ways - they bring in new customers through recommendation, they are more likely to make higher repeat purchases and higher Average Order Value (AOV). The last one is especially important; it’s estimated that loyal customers will spend approximately 67% more than other customers. By know you would have heard the familiar adage - 'It costs 7 times more to acquire a new customer than it takes to retain one'. However, you will be surprised to know that 44% of companies focus heavily on acquisition compared to only 18% of businesses that focus on retention. The reason for this against the grain behaviour by marketers is beyond the scope of this article. However, for any businesses to succeed in this hyper competitive market, it will need a mix of good retention and acquisition strategy. Without a good customer retention rate, the cost of doing business will skyrocket as you will end up spending a fortune on acquisition costs. Besides, if you simply focus on acquiring new customers, you will be left with a whole of customers who does smaller AOVs (new customers typically test the waters of a new brand with small value purchases). On the other hands, retention is a much simpler and far easier ball game - you already have valuable data about customer affinities, purchase journeys and demographics; all of which can be used to offer personalized rewards and offers to nudge the customer towards opening up the wallet. Customer Lifetime Value (CLV) and Customer Loyalty are two different entities that are closely related to each other. Customer Lifetime Value (CLV) is simply the total revenue a customer will generate over the course of their lifetime. It is a critical metric that needs to be taken into account while making important decisions in sales, marketing, product launches and customer support. Now, this is where CLV and Customer Loyalty come together. Each of these 5 points fall into a customer loyalty segment namely: Retention Loyalty, Advocacy Loyalty & Purchasing Loyalty. And by boosting retention, advocacy and purchase loyalty you can automatically boost the CLV of your business. arrow_upwardBy increasing retention loyalty you can ensure that a customer interacts with your brand over a longer time period. arrow_upwardBy increasing advocacy loyalty, you can acquire more customer. In a competitive market with little product differentiation, brands awareness can be a key factor in driving sales and conversions. The reason is tied to a basic human trait - we prefer to interact with people/things that are familiar to us. In fact, research suggests that when given a choice of multiple brands, customers are 60% more likely to purchase from a brand whose name they have at least heard once before. Now, how is brand recall and a positive brand image related to customer loyalty? It basically works in a two way loop - a great customer reward program can spread positive mind share about you brand and a good brand can entice more people to be loyal to your brand. To sum it up, good brand recall and a great reward program can work together to increase sales and conversion. flash_onBrand recall coupled with high customer satisfaction levels translates into increased customer loyalty. Sephora is a major beauty retailer in the US that accounts for 22.7% of the total US beauty specialist retail sales. The premise for Sephora’s Loyalty Program - the Beauty INSIDER - is fairly simple: for every US dollar you spend at Sephora online, Sephora retail stores or in Sephora inside JCPenney stores, you receive one Beauty Insider point. So what is it that makes this reward program so great? Let’s find out. Sephora is perceived as a high-end beauty retailer and the brand has entrenched that feeling of luxury, prestige and exclusivity into its loyalty program. The Beauty Insider Membership Card is built in to the app, eliminating the hassle of carrying around a membership card. Sephora has structured its membership tiers (INSIDER, VIB & ROUGE) based on the total dollars spent. This is a great gamification technique that entices customers into spending more in an effort to reach the next social status milestone. In keeping up with its high-end image, Sephora has chosen to go with exclusive & luxury rewards instead of offering simple discounts. e.g. 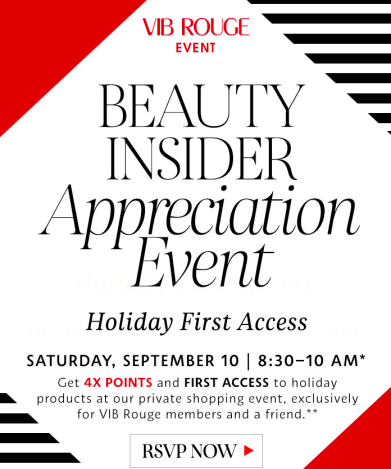 :- members (ROUGE-tier) get passes to exclusive celebrity events, all members can access the Sephora Beauty Studio and also enjoy birthday gifts and personalized makeup recommendations. All you need is your name, email, password and date of birth! Whether you shop on the Sephora website or at the Sephora store in your neighbourhood, the loyalty program automatically syncs your points. As for the success of the Loyalty Program, we'll let the figures speak for themselves - Sephora Beauty Insider has over 10 million members! 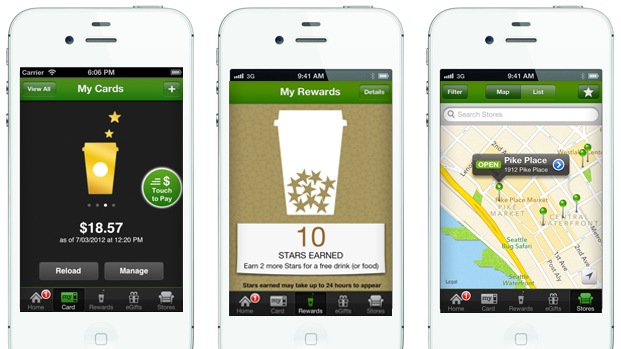 Starbucks Rewards is a great example of a mobile loyalty program executed well. The rewards program is centered on an intuitive, interactive app experience; customers can quickly view the no. of stars they have earned, load their wallet, and locate the nearest Starbucks outlet and order on the go! With a whopping 6 million sales per month the app contributes 22% of all US sales for the brand. Every time a customer opens the Starbucks app, they are presented with a new and limited period chance to earn more stars. This keeps the program fun, fresh and engaging. Starbucks made a smart move by opening up its loyalty program to cover purchases outside of its retail outlets. Customers can now earn 'Stars' on purchases like bottled beverages, coffee beans and k cups in other grocery stores. This is a great way to expand the scope of your loyalty program at a very minimal cost. 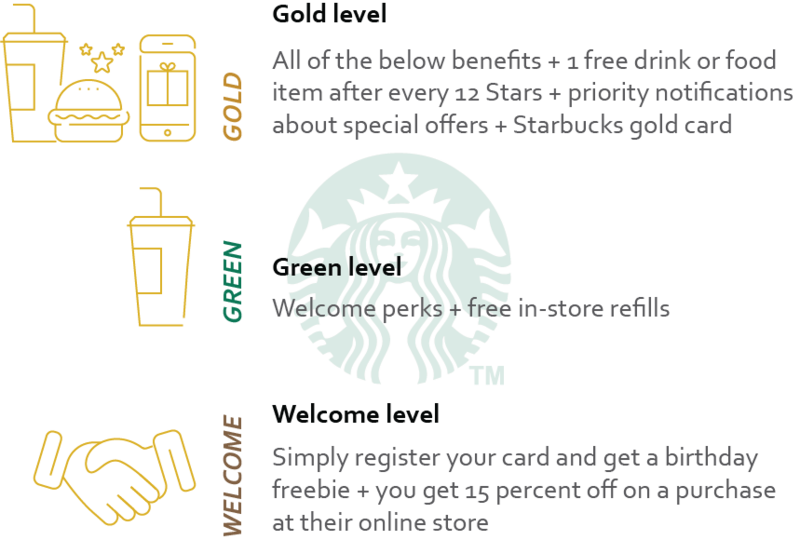 When a member earns 30 stars within a period of 12 months, they become a 'Gold' member and is entitled to several benefits like free refills, free food and the much coveted personalized Gold Card. While the freebies are nice, the Gold Card is what most members covet thanks to its flaunt-factor, especially in social media platforms like Instagram and Twitter. Creating a physical entity loyalty program and serves as an incredible motivator for members. 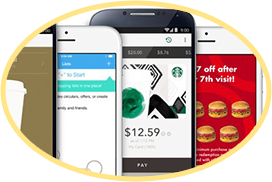 Starbucks entices customers to spend more on every order by allowing them to preload their wallets. This removes the Point-Of-Sale guilt customers feel when paying by cash or swiping their card. Also, in a rush to get to the Gold membership, customers often pay for their friends just for getting more stars. The Starbucks Rewards program is structured to incentivise high-spending members’ spenders. Once an elite member earn 300 stars and reaches Gold status, he/she is treated to a free drink for every 125 points earned. Customer loyalty isn't about discounts, rewards or points; it's about ultimately changing customer behaviour to align with your long-term business objective. Amazon's long term objective was to create an exceptional and effortless customer experience and the Prime loyalty program paved the way for it. Much like the company's famed motto, Amazon Prime is rooted in its focus on delivering an exceptional customer experience. They achieved this by opting to offer fast, free delivery instead of discounts and rewards. This meant that Amazon was the first name that Prime Members thought of when they wanted to make an online purchase. 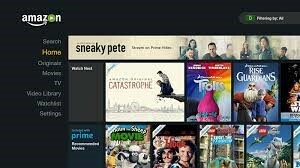 As mentioned before, at its core, Amazon Prime is really about changing customer behavior by presenting a better, faster and more enjoyable alternative. Apart from the free, fast shipping, Amazon throws in a whole bunch of value added services like video/music streaming. They also offer access to thousands of eBooks and photo storage. While these services are not exactly free in a sense; Amazon has positioned it such that these are additional services a member enjoys in addition to the primary free shipping. This is also a fantastic opportunity for Amazon to gain mind share in verticals it doesn't have a solid brand presence yet. When Amazon launched the Prime program it was bleeding money - each expedited shipping order cost the company around $8 and if a Prime member places 20 orders a year, it would cost Amazon $160; which is far higher than the $79 membership fee. But as Jeff Bezos has reiterated countless times, Amazon always plans for the long haul and he is ok with sacrificing short term financials to get to these long term goals. A Prime member now contributes $1,224 in purchases to Amazon each year, compared to an average of $505 for non-Prime customers. After factoring shipping and streaming costs, the average Prime member yields Amazon $78 more in profits than other customers. And there are 80 million of them; you do the math. looks_oneSeduced - Open to anyone who signs up; you don’t need to make a purchase. Perks in this tier include early access to limited-edition products. looks_twoDevoted - Spend $150 or more in a year and you receive early access to select collections, complimentary makeup application, free product samples and complimentary two-day fast shipping. M.A.C smartly avoids the peak sale periods and holiday seasons to run its special offers; thereby ensuring maximum impact and customer engagement. From a customer's point of view this makes absolute sense this gives them something to satiate their makeup cravings while they wait for the bigger sales from Sephora and other major brands. When it comes to loyalty programs, one of the major complaints from customers is the lack of substantial value in the rewards. 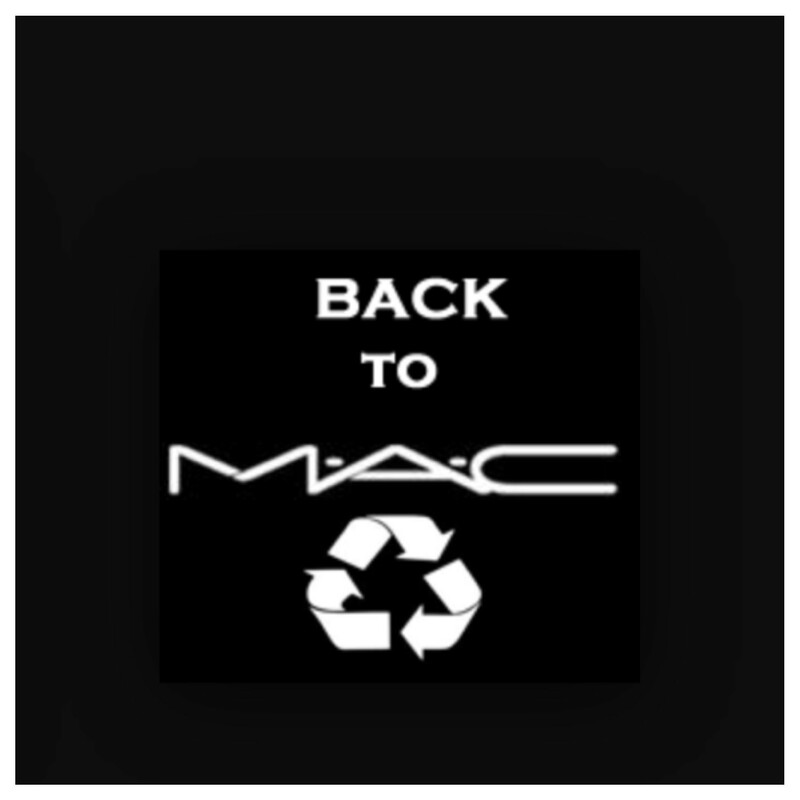 M.A.C fixes this by offering a 20% discount for loyal customers. For those who aren't in the know how, M.A.C runs a 'Back to M.A.C' program where customers can bring in six empty M.A.C makeup containers of any kind and pick a classic lipstick of any shade for free. The retailer has integrated this program into their Select loyalty program quite well - M.A.C select customers can bring in as many empty containers as they like and the get to choose from an expanded selection of any basic lipstick, lip gloss, or single eye shadow. Neiman Marcus is one of the most respected names in retail. In 1984, the company introduced InCircle Rewards, which became a hallmark in rewards program and catered to Neiman Marcus' most valued and loyal customers. InCircle Rewards is tied directly to purchases made with the Neiman Marcus or Bergdorf Goodman (Neiman’s sister concern) proprietary credit card. Members earn two points for every dollar spent. The more members spend, the more benefits they earn. It's an excellent example of a luxury loyalty program done right. Even if you're customers are not luxury segment, several aspects of the InCircle loyalty program is still relevant and replicable. Neiman places serious commitment to employee training across all positions - right from the sales associate to the C levels. Every new employee undergoes extensive InCircle training and how it should be positioned for the customer. The company even has a dedicated “InCircle Ambassador," in every store who is the go-to person for any questions related to the program. Neiman is renowned for building a relationship with a customer through relevant and engaging communications. The company smartly leverages emails and SMSes to connect 1:1 with customers. Neiman customers frequently receive messages from store associates that goes something like "Hey, remember the teal jacket you bought a few weeks ago? Well, we just received fresh stock of pin-striped skirts that would look great with it. I have already set aside two colours of your size — will you be able to stop by next week?”. And when the customer walks in to the store, the savvy sales associate will have matching shoes, scarfs and stockings ready to create an incredible up-sell. Loyalty Programs are a great way to understand shopper preferences and purchase patterns. Unfortunately a lot of brands fail to leverage this aspect of reward programs well. Not Neiman Marcus though; InCircle members account for 40% of the company's overall revenue and the brand's analytics game is so strong that it can associate 90% of its revenues with specific customers. Red Lobster is the world's leading seafood restaurant that caters to a more affluent customer base compared to competitors like Applebee’s, TGIF and Chilis. The restaurant already boasted of a loyal customer base but the brand wanted to up the ante and create a more rewarding and engaging connection with their customers. 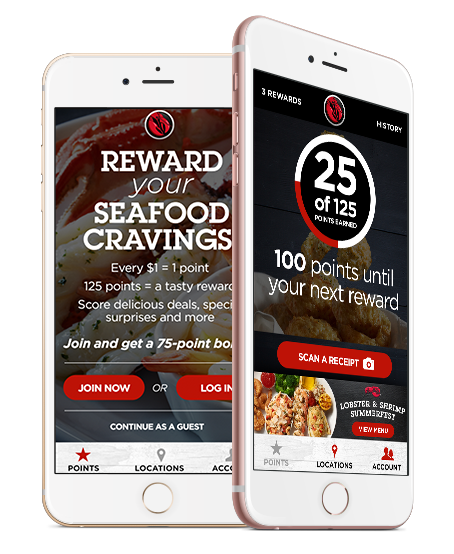 The My Red Lobster Rewards is a mobile app-based system that rewards customers based on their spending. redeemDiners earn one point for every dollar spent at Red Lobster. redeemOnce a member earns 125 points, they can choose from three offers – which can be redeemed during a future restaurant visit. A competitive landscape and weak walk-ins has led to several restaurant chains to jump on the loyalty program bandwagon and it seems to be working well. According to the company, My Red Lobster Rewards members had a higher frequency of visits and also spend more than non-members. The app features an easy and intuitive interface which allows members to easily track and redeem points right from their mobile phone. Red Lobster tested the app with customers in Colorado for more than a year, before expanding it to Arizona and Wyoming and finally rolling it out for the entire nation. This is a great way to test the waters and iron out inefficiencies from your reward program. In addition to scanning receipts and tracking points, Red Lobster offers added features and functionalities like the ability to locate the closest store, add name on the waitlist, and to order takeout straight from the app. This is an excellent way to add value to your mobile loyalty program. Despite operating in one of the most competitive airline industry in the world; Southwest has managed to stay ahead of the competition and became the largest carrier in the U.S. in terms of passengers flown in 2016. Experts attribute its success to three key factors - low fares, excellent customer experience and its award-winning loyalty program. 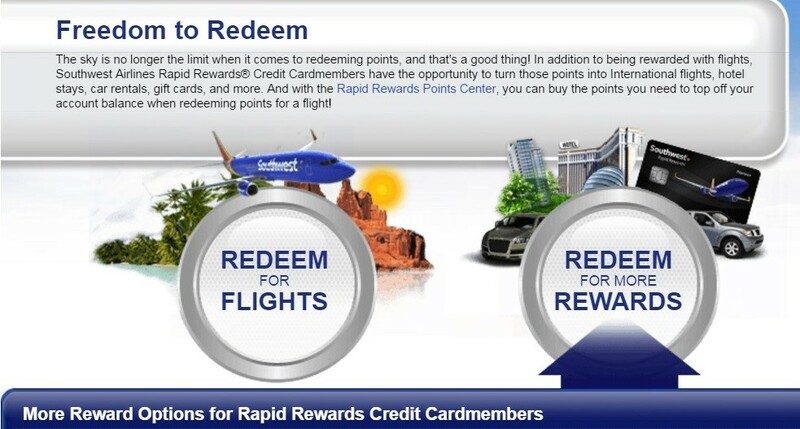 Rapid Rewards, the loyalty program of the Dallas-based carrier was launched in 1987 and over the years it has garnered several appreciations and accolades. Let's see what Southwest got right with their rewards program. Several travel companies make their offers and redemption invalid during the holiday season and other peak periods. Not Southwest Airlines, which allows point redemption even during blackout dates and also without expiry dates for points accrued. This gives loyal Southwest flyers the freedom to redeem points on their annual vacation (which is usually during the holiday season) without worrying about blackout dates. Southwest Airlines understands that not everyone wants the same thing. That's why the airline offers several ways to redeem the Rapid Rewards points. In addition to miles, Rapid Rewards members can redeem their points on hotel booking, car rentals, concert passes and thousands of products in the "More Rewards" section. This focus on customer needs and expectations rather what the company itself wants to achieve from its loyalty program invariably increases its value and engagement. Apart from desktop access, Southwest Airlines has dedicated iPhone and Android apps which allows tracking and redemption of points through a handheld device. Members can also check in, access airport information, view flight status and complete various other tasks things in addition to the Rapid Rewards mobile access. gradeDon’t limit point earns only to purchases; reward them for social sharing, brand promotions, reviews etc. gradeDesign your loyalty program around your customer and what they value most - is it discounts? Is it personalized experiences? Or is it exclusivity? Choosing the right type of loyalty program is a critical factor that will decide whether it becomes successful or failure. And which program you choose should depend on your customer base, your business model and your brand positioning. So make sure you factor all of these before choosing the model for your loyalty program. This is the simplest and most common loyalty program model where customers earn a specific amount of points for every transaction or specific action. These points can then be redeemed for discounts, products or services. The Point-based loyalty program works great for frequent and short term purchases. A tiered loyalty program works to provide both short term rewards and long term, aspirational benefits once a customer reaches a specific level. 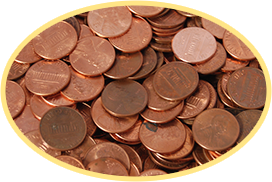 This is a great way to encourage repeat purchases as well as increase the average order value. This is a very effective loyalty program model since fundamentally affects the behaviour and purchase patterns of consumers by tapping into the basic human traits relating to social status and acceptance. If you're planning to implement a multi-tier loyalty program, please make sure that you convey the benefits, earn/point process for each tier clearly across all channels. A fee-based loyalty program appeals to highly engaged customers who have already made up their mind what they want out of your loyalty program. For fee-based loyalty programs to be effective, it needs to offer a very relevant value proposition to the customer whether it’s in form of free shipping, special discounts or priority access to sales. Amazon Prime is a classic example of a fee-based loyalty program that garnered universal acclaim and acceptance. Cashback programs are simple and straightforward - spend X amount and get Y amount as cashback. They have been effective in reducing customer churn rates in a variety of industries like retail, banking and insurance. Also known as a coalition loyalty program, this type of program involves a brand partnering with another brand to offer rewards and incentives to a shared group of customers. The Plenti coalition loyalty program is a good example of a coalition loyalty program. If your loyalty program doesn't add value to your customers, it won't be long before your customer jumps ship to a competitor. Here are some ways to increase the value of your loyalty program. Get constant feedbacks from customers regarding the benefits of your loyalty program through in store and online surveys. Another way to figure this out is to compare what your customers are choosing vs. what you are offering. After a thorough analysis, you should be able to come up with insights regarding what your customers are actually looking for from your loyalty program and what type of rewards attract them the most. Once a new customer engages with your brand, make sure you reward them. While most brand do this, they often miss out on finding unobtrusive ways to remind them about these points. A great way to do this is to reward customers for social following or email opt-ins. This gives you a chance to push special offers and reward redemption options to these new customers. Most customers expect to be rewarded when they make a purchase. However, the best loyalty programs reward customers when they are not expecting it; so go ahead and offer your customer a special bonus points along with a personalized birthday mail. Even better, try sending a certain segment of customers a simple "You're Awesome!" mail along with free points. It would cheer them up and create a positive reinforcement with your brand. These are just simple examples, try to think of creatively engaging your customers while incorporating your brand persona and business model. According to research, 83% of Americans want brands and retailers to support charitable causes. This is a great opportunity for you to leverage your loyalty program to allow customers to donate points to charitable trusts and organizations. For example, Canadian Red Cross allows members to donate using AIR MILES and Aeroplan miles. You can implement a similar loyalty program strategy where your customers can donate to a charitable cause that is related to your products and services. For your loyalty program to stand out, it needs to go beyond discounts and promotions based rewards. When you provide loyal customers with a unique, personalized experience, it makes a long lasting and valuable impression compared to gifting them something they would have ability to purchase anyway. And if you are able to connect that connect that incredible experience with your brand persona, you have hit the loyalty marketing jackpot! A great example is Theory11, an online seller of magic tricks and other party trick accessories. As part of its loyalty program, the brand offers customers various training sessions over Skype. Customers who are higher up the loyalty tier get access to private training sessions and a handful of top tier customers get the opportunity of a lifetime - a one-on-one session with David Blaine. Ditch the Card, go Mobile! This will work well for a restaurant brand. Instead of offering free meal/discount/coupons on every 10th purchase, offer them a 1+1 free offer on every 5th purchase. If your brand is built around 'best value' and 'lowest price', then focus on offering cashbacks and discounts. If your brand serves a premium customer segment, opt for experiential rewards. A Loyalty Program Software is the core platform that tracks and manages your loyalty program. So, rather than investing in a complex one, try to ensure it fits your business needs. Encourage your customers to give feedback on your products and your loyalty program. A simple reward for sharing their opinion goes a long way here! How do I measure the success of my loyalty program? As more and more businesses are focusing on tying marketing efforts to their revenue; it has become critical for marketers to show effective ROI on loyalty programs. Once you get the Customer Value; finding the Customer Lifetime Value is simply multiplying it with the average lifespan of the customer. The trouble is getting the exact lifespan of a customer is not easy; especially if you're a relatively new brand. A good thumb rule to take is 3 years. Redemption Rate is a percentage which indicates at what rate are your customers are redeeming their loyalty points. A high redemption rate indicates that your customers are highly engaged with your loyalty program. A healthy benchmark is a 25% redemption rate; anything less than that and it indicates an issue with the redemption process of your loyalty program, i.e., your customers are earning loyalty points and are not spending them. Here's how you calculate the redemption rate of your loyalty program. This ties in with Redemption Rate in that it measures the number of customers who are actively engaged with your loyalty program (through points earned and redeemed). buildStep back and go through your loyalty program rules with an objective mindset and see if you are able to comprehend the tiers and earn/burn rules. Even better, ask your friend/family read about the program and ask them what they understood. This is a great way to fix unclear communications. buildEvaluate the average spend of your customers and the frequency of visits to arrive on a reward structure that is financially viable to you as well as be valuable to your customers. buildWhile all your marketing efforts can be layered into your loyalty program, it should be done carefully. The best way to do this is to treat the loyalty program as a central platform and connect other channels in a modular form. e.g. :- your social followers can receive bonus points for sharing/liking your page, your customers earn 2X points for referring their friend and so on. buildMake sure your loyalty program is an integral part of employee and staff training. Try gamifications and leaderboards to encourage staffs to actively learn more about the program and promote it your customers. buildRevive and refresh your loyalty program by introducing new rewards and redemption options. Try to invest in a loyalty program management software which automates the campaigns and other aspects of your loyalty program. A marketing campaign centered on your loyalty program is another great way to kick start a depleted program. AI and Machine Learning have the potential to fundamentally revolutionize the retail and loyalty industry. The reason? Loyalty is closely linked to customer experience and AI is becoming impressively accurate in predicting human behaviour and purchase patterns. Historically, customer data collected through loyalty programs have been used to target customers with relevant messages. However, with the help of AI and Machine Learning; brands can take this several notches up to predict customer behaviour and influence purchase patterns. Imagine getting real-time information of every customer who walks in to your store along with insights on what they are most likely to purchase. Advanced AI algorithms is capable of predicting human actions long before the thought even starts taking shape in the subject's mind. AI-powered insights can instantly give you a segment of customers who are more likely to spend more once they move into the next tier of your reward program. Now all you have to do is offer them 3X points on their next purchase as a special gift. Prescriptive analytics can be applied to a wide range of retail scenarios to reduce churn, increase conversion rates and improve overall customer experience. Loyalty point accounts are frequent targets for fraudsters, mostly due to their low-level, rule-based security. They typically work like this - if this specific anomaly happens, then raise an alert. The trouble is that once a fraudster identifies a rule, he/she can easily bypass it. AI works a little differently; it monitors millions of transactions and creates a flexible protection layer capable of identifying and stopping an attack in real-time. AI-powered voice assistants like Alexa and Siri have so far been mostly confined to their virtual avatars. As consumers become more comfortable with these technologies, they are likely to show up in the physical realm as shopping assistants and other customer service roles. In the near future, it won't be farfetched to imagine that a customer makes a purchase in a retail store without ever interacting with a human. Over the years, retailers have faced a major dilemma when it comes to loyalty programs - how to increase revenues without negatively impacting the customer experience. AI and Machine Learning can help retailers with intelligent insights that can increase the overall sales, conversion; while ensuring a great customer experience. And that brings us to the next big thing looming large over the loyalty horizon - the Blockchain Loyalty Programs. Last year, a dozen companies like Singapore Airlines, Rakuten & Chanticleer (parent of Little Big Burger, American Burger Co., Hooters, Just Fresh, and BGR) have announced their intent to launch blockchain-based loyalty programs to encourage customer engagement. Integrating your loyalty program into a blockchain essentially involves setting up an integrated yet open system. Think of the blockchain as the Operating System and the loyalty program software as an application running on this OS. Let's get the obvious out of the way - private blockchains and branded cryptos are still very nascent technologies. So why are top brands and businesses experimenting with it? check_circleInterchangeable RewardsBlockchain-based loyalty programs allows brands to offer rewards across multiple products and services, thereby giving customers virtually unlimited freedom for reward redemption. check_circleHigher FlexibilityBrands can easily track rewards across several engagement parameters like content consumption, beacons or IoT product use. check_circleCost EffectivenessBrands have often struggled with expanding their loyalty programs across affiliates and partners as it involves expensive system integrations. A blockchain loyalty program can significantly reduce development, integration and security costs. check_circleAnti-FraudBlockchain members in a network have their key information shared in a distributed ledger–– this is a core feature of blockchain. This 'single source of truth' concept makes loyalty fraud extremely difficult to execute. errorOverhyped?Let's be honest, most enterprise blockchains are still in Proof-of-Concept stages and are focused on generating more Press Releases than actual deployments. errorSteep learning curveBrands will have to incur significant marketing spend in educating customers on how to use blockchain. errorScalabilityThis is a critical issue plaguing public blockchain networks and programs with high volume transactions. errorLess DataBlockchain loyalty programs allow only limited access to Personally Identifiable Information (PII) data due to limits on how much PII can be put on a shared network. Learn how leading brands like Giordano, Peter England, Tunglok & REDTag are increasing sales and conversions with omnichannel loyalty programs.